Global investors are waiting to see what changes the coming election in India will bring. Jaisal Pastakia looks at likely outcomes for the Indian stock market, and considers scenarios that will cause investors to step back. Beginning tomorrow, more than 900 million people will go to India's polls. Indian general elections are a gargantuan undertaking - the eligible electorate accounts for more than a tenth of the global population, and will cast its votes at more than one million polling stations, across a polling period of 39 days. When the results are announced on 23 May, who will lead, and how? Investors are concerned that India's general election could prove challenging for its economy and assets, creating significant change and uncertainty. 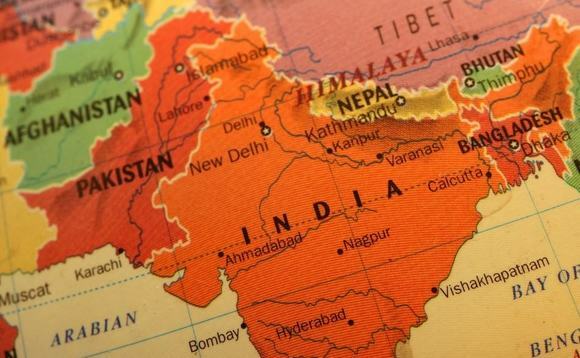 Investors are concerned that India’s general election could prove challenging for its economy and assets, creating significant change and uncertainty." India's most recent general election in 2014 provided current prime minister Narendra Modi's Bharatiya Janata Party (BJP) with an absolute majority in parliament. With the party's traditional allies, who collectively make up the National Democratic Alliance (NDA), Modi was able to form a robust government with a strong mandate for reform. While such an absolute majority is unlikely to be repeated, the recent resurgence of tensions with Pakistan has increased support for Modi and the BJP. If the BJP takes a large enough share of the seats in parliament (230 or more of 545 seats), Modi could expect to continue to lead, but its NDA partners are otherwise likely to request a new leader at the helm. Nitin Gadkari, the minister currently responsible for transport, has been mooted as potential replacement. On the other hand, if the BJP gains less than 200 seats, an alternative alliance of parties (likely the United Progressive Alliance - UPA) could be formed. This is widely seen as the least likely outcome. None of the above scenarios signal drastic change for India, at least not in the short term. While Modi's government has enacted a raft of pro-business and market-friendly reforms, the UPA and the NDA appear to have common ground on economic and structural policies, so even in the most unlikely scenario above (a UPA government), we would not expect any significant unwinding of these reforms. What's more, members of India's civil service work on three-year contracts, meaning that there can be no immediate changes to the administration following the election, whatever the outcome - further good news for potential Indian stability. What happens to the Indian stock market during elections? Past trends suggest that the Indian stock market has, on average, fared relatively well around general elections. In particular, markets have typically enjoyed a stronger run just ahead of election time, in expectation of a stable government. One exception came in 2004, when the BJP was expected to return to power but failed to do so, leading to stock market falls of over 20% (although losses were recovered by November that year). The flow of foreign institutional investors into the Indian stock market has also tended to pick up around general elections, though this surge has sometimes occurred after the event. In 2019 so far, the Indian stock market's performance appears to be on the back foot. Set alongside historic pre-election rallies, the current rally has begun slowly, but there are signs that it is catching up. Late 2018 saw foreign institutional investor outflows of US$2.6bn, but 2019 so far has seen inflows of $8-9bn, with this late-stage boost pushing the stock market higher. Over the past few years, Modi's reformist agenda has also impacted the domestic investment landscape. Reforms around financial inclusion mean that nearly all Indian adults now have bank accounts, and domestic investors putting money into mutual funds via Systematic Investment Plans have become a more important part of the market (though they have waited on the side lines in recent months, perhaps reflecting election uncertainty). A glance at the MSCI India Index makes it clear that India does not provide as cheap an investment prospect as some of its emerging market peers. Indian stocks have relatively high price-to-earnings ratios, but we would note that these elevated levels have been in play fairly consistently for some time, particularly concentrated around sectors like financials, consumer goods and telecommunications. For some investors, political issues both at home (given the upcoming elections) and abroad (tensions with Pakistan) will count against India. Further cause for concern comes via the Indian currency: 2018 was the scene of significant volatility for the rupee, which was buffeted by the oil price (India is one of the world's largest oil importers). However, both the stock market and the currency have held up relatively well in the face of recent political unease, buoyed by a recent resurgence of support for Modi and BJP. Economic activity data (like manufacturing and services purchasing managers indices) has been fairly robust and signs of improving liquidity are also promising. Anecdotally, there are also signs of a pick-up in capital expenditure. At Heartwood, we have a broad overweight position in emerging markets, where we see good relative value and higher growth potential. Within this allocation, we hold explicit preferences for specific markets, including India. We believe that receding political risks will be good for Indian equities. One of our key routes to Indian exposure is via an active manager, which has a natural skew towards mid-sized companies where active managers typically find most of their opportunities. Having underperformed their larger counterparts since early 2018, the share price valuations of these mid-sized businesses are relatively cheap when set against the wider Indian market. We are also exposed to India through its bond market. Since India has capital controls in place, investors cannot buy ‘passive' exposure (e.g. index-tracking products) to Indian bonds, so we use an actively managed Indian bond fund which invests in both corporate and government debt. Capital controls also keep Indian rupee volatility low compared to some other emerging market currencies, as well as adding a premium onto the yield of Indian bonds - the Indian 10-year government bond currently yields 7.4%.